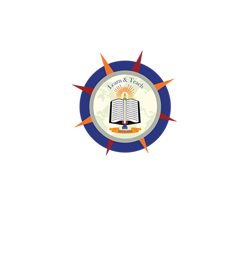 Dr. Khwaja Syed Mohd Yunus ,Founder Manager of “Eram Educational Society ”was born in the family of Sufi- Saint Khwaja Maroof of Meerpur, Barabanki. Dr. Yunus migrated to Lucknow with a dream in his eyes. In Lucknow he started a Madrasa in bylanes of old Lucknow at Baroodkhana, Golaganj with half a dozen students and two teachers of whom he was one. 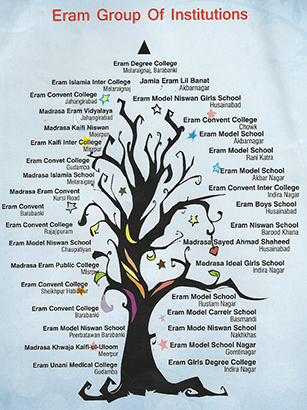 After years of unwavering commitment to the quality of education, hardwork and perseverance, today Eram Educational Society has more than 15,000 students, spread across 36 different campuses in Lucknow and Barabanki which include a Medical College (BUMS) with 300 bed hospital in Kursi Road,Lucknow. Dr.Yunus still nurtures a dream of establishing Eram University and a full-fledged MBBS College for which work has already begun. To transform into a place of education excellence, training, research and to produce excellent quality human resource for serving the nation. To provide students with a sense of cultural history, an understanding of values and ethics, transformation into a law abiding citizen along with an analytical inquiring mind. To nurture students into highly skilled human resources with the skills to adapt to a technologically and intellectually changing environment with active participation of all the stakeholders.